Los Angeles (AP) – The original “Dumbo” was released in the summer of 1941 while Germany was spreading across Europe and war was breaking out in the Pacific. 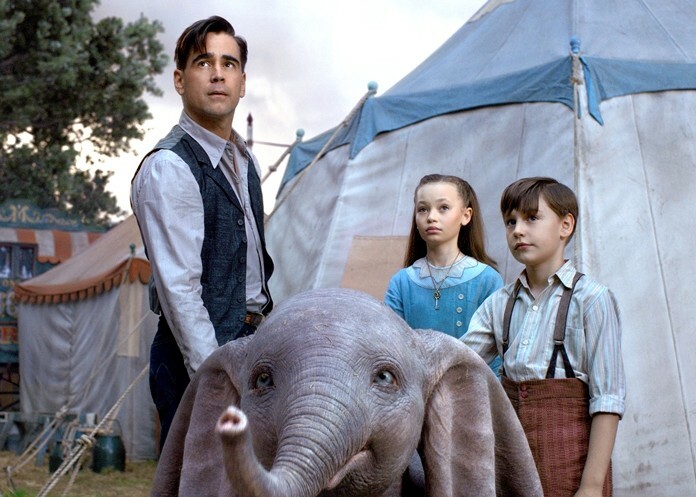 Crafted as a simpler Disney fable after the more extravagant “Fantasia” disappointed at the box office, “Dumbo” — only 64 minutes in length — took flight just as far more chilling creations were taking to the air. Almost eight decades later, “Dumbo” is alight again in Tim Burton’s somber and sincere live-action remake of the animated classic. Burton has refashioned “Dumbo” as a sepia-toned show-business parable tailored to more animal rights-sensitive times. And he steers “Dumbo,” from a script by Ehren Kruger, toward a grand corporate satire as the big-city conglomerate tries to co-opt the genuine wonder of Dumbo and Medici’s traveling band. Greed and exploitation close in on them as the big-tent gets bigger. That such a story line should come in the biggest big-tent of them all, Disney (whose Disneyland isn’t so dissimilar to Vandevere’s Dreamland) is either an awkward or happy irony, depending on your level of cynicism. Next articlePrepare to get wet – Songkran is here!